2590 Case. Mine is a 84' and it handles it easy. Neighbors have a 104' on a 2390 and not aware that it struggles with that either. I am not aware of what Farm King has in there, never had one apart yet. I have however had my Brandt 1390 apart and yeah it's a square coupler. 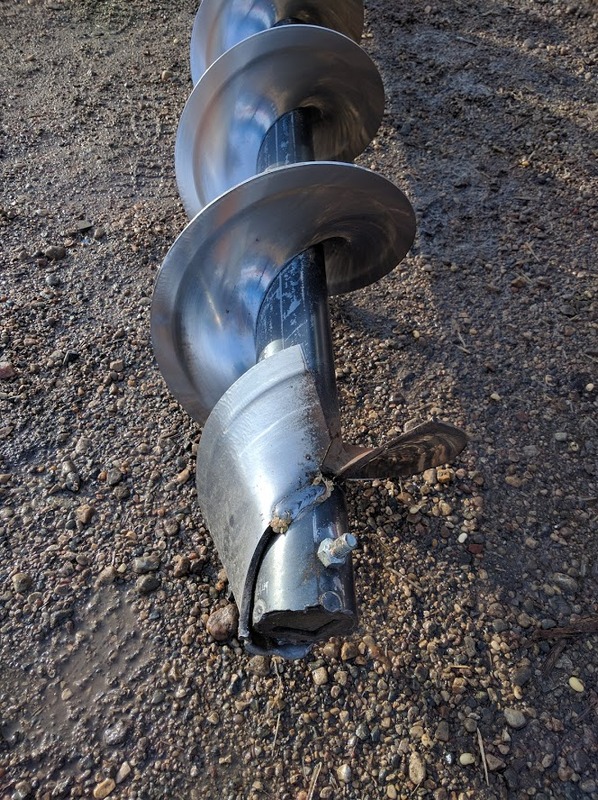 As you can see not much use on that auger before it fell apart on me, this was in middle but bottom twisted off at same time. They charged me a thousand bucks freight per flighting piece! We have a 16x84 Farm King and yes it has a square coupler. We twisted it off when filling a small bin and it got too full. Logic would tell me that the shear pin should break but no the flighting has to twist off and also take out a gearbox in the swing!! The welding on the coupler looked like a 4yr old did it with the welder turned on the lowest setting......pathetic!!! Anyway I picked up the parts at Morden at the factory and showed the parts guy the piece. He said he used to be a welder there and he wanted to keep the piece to show others but of course that was the end of it. Also we run a JD 4555 on it and it has enough power. We tried a 5020 on it but within seconds we realized it wasn't going to have enough power. We use a 555 versatile on our 16x105 farm king with rodono. It has plenty of power for dry grain but with tough wheat you have to be careful. Think it's about 200 pto horsepower. We have also used our t7070 new holland which is 210 pto horsepower. Same thing. Can feed it right full if the grain is dry but tough wheat can power it out. Still really fast however. With 200 hp driving your auger some beefy drives are needed and a slip clutch IMO. It amazes me that augers have gotten this big but the engineering hasnt kept up. A big fast unloading auger is only fast when it is operational. Twisting off shaft ends and blowing gear boxes shouldnt be the normal maintenance. Sounds to me like engineers need to get their act together and develop a better set up. I hate shear pins even on our 10 inch augers. About the time you walk away the shear pin breaks from and not from the bin being full either. every 15,000 bushels they just reach their life expectancy and break. Only time I change a shear pin on our auger is when I’m trying to fill the bin right up. Never broke one just because on any auger we have used. Last edited by meskie; 03-12-2019 at 11:48 AM. Our augers break shear pins also, like mentioned above not when over filling a bin, will just break in middle of a load every so often. I think you guys will find that if the shear pins are tight they don't break. If they wiggle loose it eventually leads to a failure. I generally snug mine up every little while, even though they are bolts with lock nuts they seem to need that. It has eliminated failures for me. 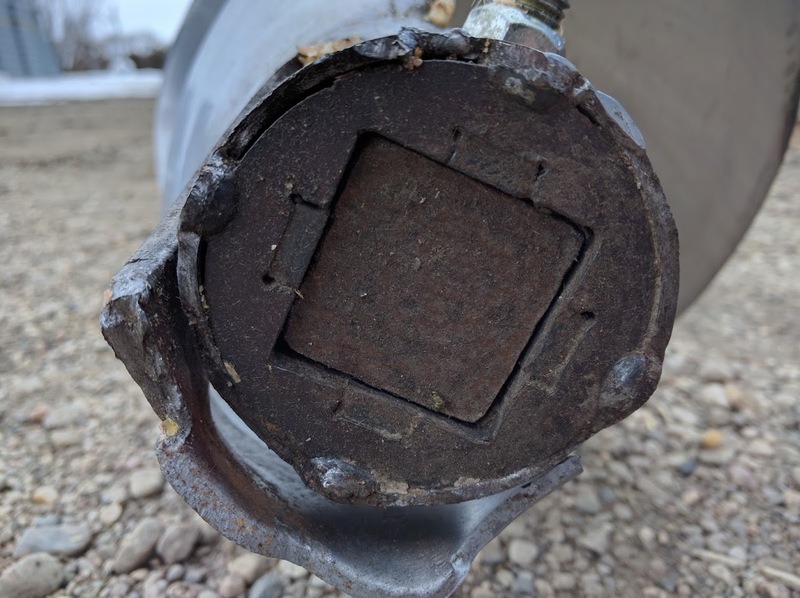 Wrong sized shear pin? Or the holes worn just a bit? I agree that keeping them tight helps them from breaking. We run tractor 17-1800rpm. Correct size shear bolt, lock nut. I will tell the guys to snug it up each morning and see if that helps. I find after snugging them up a couple times they don’t loosen off very much. Check the surfaces of where the two half’s go together. Our forage harvestor was breaking shear bolts and it had worn a small lip on the edge not allowing them to fit tight. A few minutes with a file solved the problem.